For many people, it’s part of the American Dream to own a home. However, before stepping out to purchase a piece of real estate you’ll call your own, it’s important to make the proper preparations. A home, regardless of its purchase price, will likely be the largest asset held in your name. It can bring you great wealth in time, or can be a drain on your monthly household finances. It can also be both of those things at the same time. Now, assuming that you’re mentally ready to purchase, and that you won’t be buying with cash, you’ll need to make a mortgage application with a bank. Thankfully, the areas of your life subject to the bank’s scrutiny, your employment, your income, your credit history, and your savings, are areas you can review in advance of ever buying a home. “Are you ready to buy a home?” is a question you can answer long before your lender ever gets involved. Here’s a short list of the questions you should be asking yourself at the start of your home search endeavor to see if you are ready for buying a home. Before you choose to buy a home, you’ll want to be reasonably certain that you can make its monthly payment. You can’t know for sure that your job or income won’t change, life happens, after all, but an objective analysis will go a long way. For example, if you’re planning to leave your full-time job in favor of self-employment, be aware that such a switch may be trickier than it appears. The risks of going self-employment, actually, are why mortgage lenders want to see at least one year of income with you in your new role, and sometimes two. Like new restaurants, many people who go self-employed fail. Additionally, if you know that your guaranteed monthly income is curtailing because of a new role, this, too, affects stability. Attorneys who become partners in their respective firms sometimes miss this point. Yes, your overall annual income is likely to increase, but your salary is taking a hit. You don’t need perfect credit to purchase a home. Heck, you don’t even need great credit. 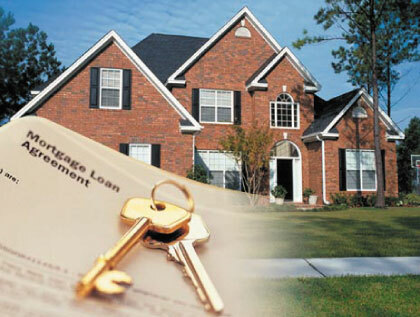 Despite a history of bankruptcy, foreclosure, or short sale, you can get approved for a mortgage with a lender. However, your credit history has to be reasonable. When considering your credit history, ignore the blemishes of your long-ago past. What happened five or ten years ago is ancient history. What matters is how you’re managing your credit today. In general, if for the last six months, you’ve kept credit card balances away from their limits; and made payments to your creditors on time, you’re managing your credit well and the credit bureaus will agree. It’s your credit behavior over the most recent 6 months, which affect your credit score the most. Good behavior pushes your score higher, poor behavior moves your score lower. Before buying a home, make sure you have a handle on the debt you carry already. The experience of homeownership is often marred for homeowners whom are overloaded with bills. When you’re thinking of buying a home, it’s important to think about your down payment, even if your plan is to use 100% financing. This is because thinking about a down payment forces you to think about your savings and, as a homeowner, you’re going to need your savings. It’s often overlooked that the cost of homeownership ranges higher than just your monthly payment. There are real estate taxes to pay, homeowner’s insurance bills to cover and, like with the homes you’ve rented in your life, things break. Homes can be expensive to maintain, even the new ones. As a homeowner, you should plan to set aside 1.5% of your home’s value each year to cover the costs of maintenance and repairs. Some years, you will just a portion of what you’ve earmarked. Other years, you’ll use all of it. You should also make sure that your household savings accounts hold at least six months’ worth of living expenses, and preferably, twelve. Job loss and illness can affect your household income, which can affect your ability to make payments on your home. It’s important that you’ve set aside savings. Home values are their highest of the decade, and are expected to climb as the 2016 housing market gets set to begin. Considering that interest rates remain near historic lows, today could be a great day to become a new homeowner.